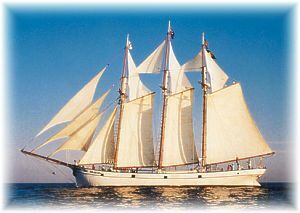 The welcome reception takes place on the 35m three-mast schooner Leão Holandês (Dutch Lion) and on the 24m Dutch clipper Westenwind. We will meet outside the Holiday Inn Hotel at 18:00 and take a bus to the Doca de Alcântara pier on the Tagus River. The bus will leave the hotel at 18:15. We will board the ships at 19:00 and set sail at 19:30 for a 2h30m cruise along the Tagus River estuary. If you want to join us directly at the pier, please be at 19:00 in Doca de Alcântara (see map below) since boarding will not be allowed after 19:15. The reception will end around 22:00 and the bus will take us back to the Holiday Inn hotel. 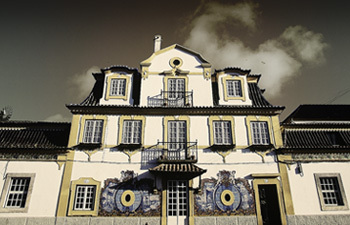 On Wednesday we will travel to the José Maria da Fonseca vineyards for a wine tasting event followed by a dinner at the 18th century wine museum. We will meet outside the Holiday Inn Hotel at 18:00. The bus will leave the hotel at 18:15. The banquet will end around 23:00 and the bus will then take us back to the Holiday Inn hotel.